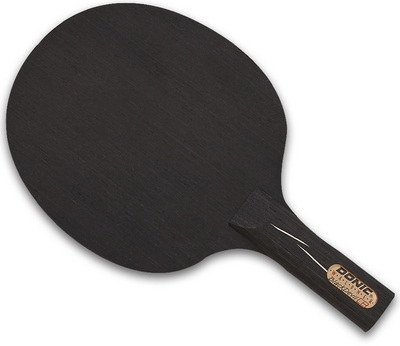 Donic Waldner Black Devil Table Tennis Blade (without rubbers) perfectly combines Carbon and Balsa wood. The result is a High Performance table tennis blade with incredible power and enlarged sweet spot for attacking play combined with light weight and amazing control. If you would like the Waldner Black Devil Blade fitted with professional table tennis rubbers, we highly recommend the Black Devil Bluefire M1 Bat. Ply's combination of Carbon, Koto and Balsa Wood. The soft Balsa core results in a blade with unbelievably good control, particularly when returning the ball. Incredible power and speed can be achieved with the hard Koto middle plies and carbon fibre.